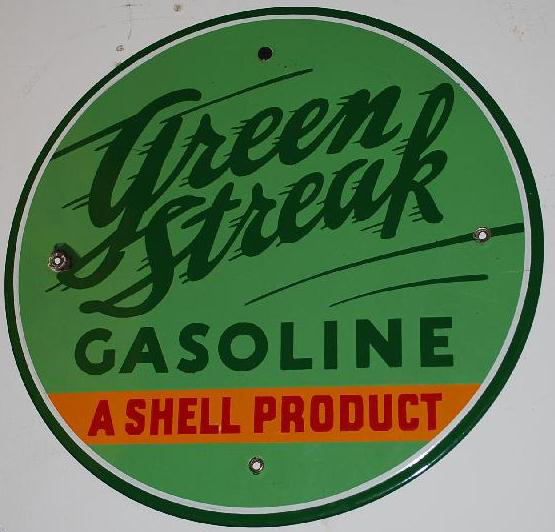 This is a round Green Streak Gasoline porcelain sign. This particular Green Streak Gasoline sign is green with dark green and red text. It reads, “Green Streak Gasoline, A Shell Product” and features a yellow banner at the bottom.